Cape Auto Repair is Orange County's best source for Porsche scheduled maintenance. We provide expert maintenance services for both new and classic Porsches at prices that are significantly less than those of any local Porsche dealership. 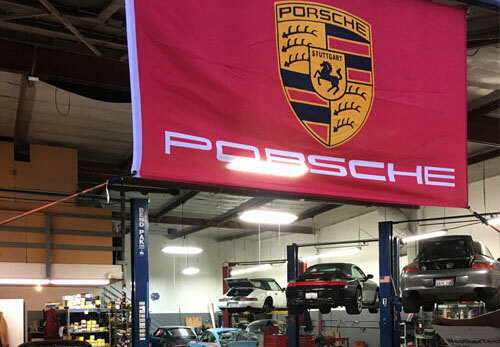 All Porsche maintenance services are performed by our highly experienced, factory authorized technicians, who have both worked on thousands of Porsches over the years. 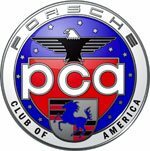 They can be relied upon to apply the industry's leading maintenance techniques, conduct a thorough inspection of your car with each visit (at no additional cost), and help you determine the best maintenance schedule for your Porsche's model and year in order to keep it in superior shape. At Cape Auto Repair, we advise our Porsche owners to schedule basic tune-up service (aka an oil change) every 7K to 10K miles, rather than every 20K miles. This is because high-grade synthetic oils, while designed to never lose their viscosity, still get dirty over time. By replacing this fluid more frequently, you'll enhance the performance and extend the life of your Porsche, whether it's a 356, Cayenne SUV, Turbo, Panamera, Cayman, Boxster, Carrera, or other model. Then, every 20K miles, or with every other oil change, we'll expand our basic oil change service to include cabin and engine filter replacements. At every 40K miles (for some cars, like the Turbo, it may be every 25K), we recommend our major service, which includes a tune-up, spark plug replacement, engine filter change, cabin filter change, fuel filter change, and fluid change. At 60K, we start to suggest replacing belts. 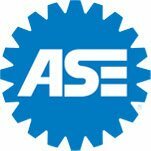 With any filter or parts replacement, we always use OEM parts. For our oil changes, you'll have your choice of all the major brands, including Mobile 1 (the factory fill), TOTAL (a Porsche-certified oil and our personal favorite), Kendall Motor Oil, Castrol, Amsoil, and more. Call or visit Cape Auto Repair today for Porsche scheduled maintenance services. Orange County Porsche owners can drop in from 8am to 5pm, Monday through Friday. We complete most oil changes and minor services within one to two hours. Every Porsche service comes with a courtesy, bumper-to-bumper vehicle inspection, which includes a brake inspection and engine light checks, to ensure that we catch any minor issues before they become major problems. I have been taking my VW Passat to Cape Auto for over 2 years. James, the owner, provides such top- shelf service that I will not take my vehicle anywhere . . .